These free printable invitations for a graduation party feature hats bordered around the middle with colorful text ringing around the hats. These are great printable graduation invitations for any party, particularly from graduates with a more bubbly and outgoing personality. Plus, the red, green, and blue colors make it a perfect invitation for a male or female’s party. If you're planning on throwing a bash, print these invitations on card stock and bring everyone together to celebrate with you and to let them know how much you appreciate them too. After all, it's not every day that you'll graduate! Print and enjoy today. A graduation is an important event in a student’s life. There is a time when lots of people want to extend congratulations and good wishes to the graduate. These free printable invitations, Graduation Hat Border Blank Card Invitation, are perfect to extend an invitation to family and friends. The card is decorated with a border of the traditional mortar board graduation hats and celebratory words and invites to an open house or party. The middle section is left blank so you may customize it as you wish. Text and fonts are easy to add before printing these graduation invitations today. 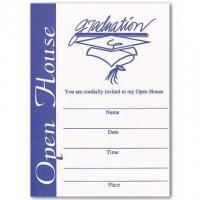 Do you need a graduation invitation that can be custom printed as you wish? One that is suitable for all ages both men and women? Graduation Hat Border Blank Card Invitation a free printable invitations are the answer you are looking for. These cards are top quality. They boast a handsome border of black graduation hats with lettering of green, red and blue. The words are traditional greetings for a graduation milestone with congrats printed all along the border. There is plenty of room in the center to easily add party or announcement information in the text and font you want.